Make large-scale commercial lighting stylish with the 18" Barn Light Shade. Featuring a heavy duty all-aluminum construction, this outdoor gooseneck light comes equipped for lasting exterior applications. An arching arm makes large Barn Lights a natural for sign and awning lighting, and rust resistant powder coated finishes come in a choice of 25 color options to match existing design (additional charges may apply). In addition to standard incandescent gooseneck fixtures online, customers may also order with compact fluorescent (CF) or metal halide (MH) commercial lights for a price increase. For high-pressure sodium (HPS) or LED sign lights, please call toll free. 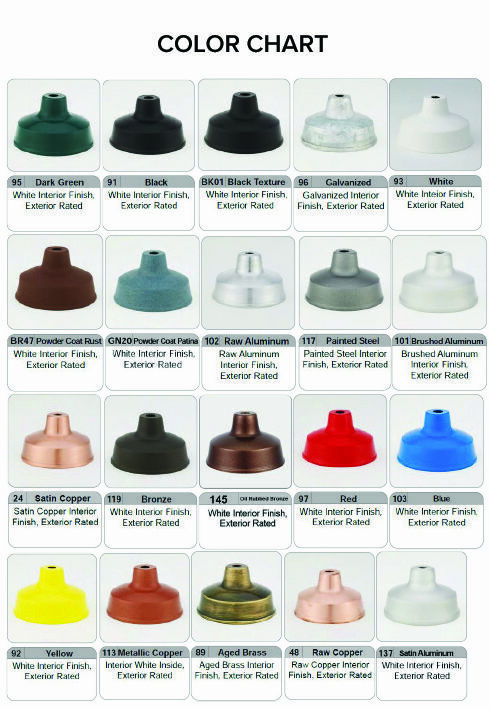 Standard incandescent fixtures come ready for installation to most any 4" standard junction box. Barn Light accessories are also available to add on for an industrial-inspired aesthetic. Wire guards and decorative glass globes capture the spirit of American tradition in the form of a durable commercial fixture.